Professor Tony Tyson joined the faculty at UCD in 2004. His research is in experimental physics and cosmology, and includes development of new astronomical surveys, new detectors, astronomical instrumentation and analysis algorithms -- aimed at unraveling the nature of dark energy and dark matter. 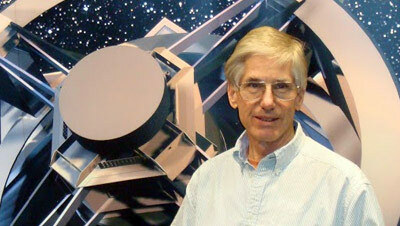 He has developed cameras and analysis techniques for imaging of the distant, younger universe. While at Bell Labs, he applied CCDs to astronomy, discovering the "faint blue galaxies." Leveraging this backdrop of billions of galaxies, he pioneered a technique for imaging foreground dark matter concentrations via their gravitational lens distortions of the distant galaxies -- "weak gravitational lensing." Today is an exciting time in cosmology: we are assembling the tools needed to understand the physics of the mysterious 96% of the dark universe. Some of the data are already in. Tyson is PI of the Deep Lens Survey, a glimpse into the dark universe. Using weak lens tomography, the dark structures and their relationship to galaxies are being studied. But the mystery of dark energy can only be addressed by mapping the whole sky. Tyson is the Chief Scientist for the Large Synoptic Survey Telescope, the next major survey facility. In 2010 the LSST was ranked as the top new ground-based facility in astrophysics. Some of the R&D is being carried out here at UC Davis. Science pursued now with the Deep Lens Survey is a precursor to opportunities which will be enabled by LSST, http://www.lsst.org. Its twenty trillion photometric measurements of twenty billion objects will enable exploration of exciting new questions in a variety of areas of astronomy and fundamental physics.